Driving the slowly increasing support rate: an 8 percent jump in one year in the approval rating among people ages 18 to 29. The Supreme Court last year struck down the 1996 Defense of Marriage Act. Photo: AP. 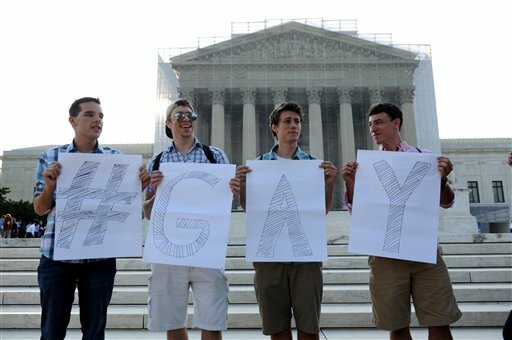 More than half of Americans now support gay marriage, an all-time high, according to the latest survey by Gallup.